It's not symmetrical. Spawning in the north offers you different tactics and gameplay compared to spawning in the south. 99% of the map is playable terrain. There's a lot of open playing ground, leaving many in-between options to players. There are all kind of nice shooting lines between different areas of the map, for example the gate in the castle can be shot through from the hill. Winning or losing a single flank doesn't mean you instantly win or lose the battle. Artillery is relatively balanced in this map as players are not permanently spotted and there is enough hard cover. I would love to see similar non-corridor and non-symmetrical maps return to the meta to diversify the gameplay. Edited by Anymn, 10 April 2019 - 02:34 PM. it relies a lot in teamwork and coordination, has a role for all tank types and, although is a bit campy, there are a few varieties of tactics you can try. Yeah it's great fun to spawn in the north only to see my HT's going to the HT brawl area at the zeppelin while being blasted to bits from the side by all the campers on the ridge only to get there all beaten up and getting pushed back and once again getting blasted in the sides by the campers on the ridge while the south spawn have no such issues at all. It's almost as much fun as seeing that flank collapse or be ignored while spawning in the north and having so bad areas to defend from that it's just a matter of time before you lose. I enjoy the map, but it got some glaring issues that highly favours one side vs the other. The terrain is also undulating (hilly) that act's like line of sight breakers and thus as soft corridors. But to be honest I liked the SD version before it became HD with the Zeppelins and such much more. But that's a story of almost every map that has been converted to HD. I agree, it's one of the best maps we have. I also like Karelia, plenty of bushes there too. It's the best all-round map regardless of what class I play sure. But as for your first point? Yes it's not symmetrical. Not even the slightest. And that can be good and bad depending. As North has an advantage with their overwatch position when the South pushes out of the HT lane. But South gets the overwatch advantage when North pushes into the HT lane with their flank fire. The middle is even ground tbh depending on who has the bravest lights in terms of how far they dare to push early on. But it's not easy to spot the North hill from there. Thus both teams won't play the same, and early on anything can happen. Then again with Ghost Town that is more or less 95% symmetrical. It can swing differently. Both lanes have the same advandages. So it can be predictable and a bit slower early on. But at the same time late game. You have the same escape routes as they do. And not one side with cover and the other in the open etc. Forcing one team to do mistakes first, even if they hold. The middle is even ground tbh depending on who has the bravest lights in terms of how far they dare to push early on. As a LT from south spawn it's easy to get to the spotting bush at E/F3 and if you're in danger of being overrun it's extremely easy and safe to retreat to for example G3, whilst going to the same bush from the north leaves you pretty much stuck there since your retreat path is not only a lot further but it's also easily countered by people at G1 not to mention the people that actually were going for you at E/F3 as well as arty. Mid favours the south spawn a lot both in terms of LT gameplay but also since it's also a lot easier to utilize mid to both counter north's HT push as well as defend base if your own HT's die. The 1 flank is also a lot easier to take from the south but if it for some reason falls it's also a lot easier to counter it from the mid hill or J/K1 whilst from the north you have a city defending the attackers, there are very few things on that map in general that favours the north team and overall it's very unbalanced map in terms of design, however thankfully it's not on the same level as Mines and with the skill level of most players playing it's still a very fun map to play despite it's many flaws, but I agree with Gkirmathal it was a much better map before the rework. I think any map was better for the rework, gameplay wise. But the gameplay itself has shifted itself, regrettably. Edited by Anymn, 10 April 2019 - 09:03 PM. 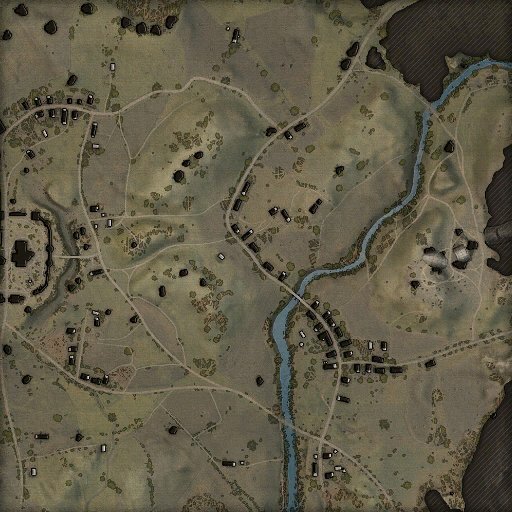 Indeed, maps like Malinovka, Prokhorovka, Redshire, Steppes (apart from the camp spot) and Sand river (apart from the, you guessed it, camp spot) tend to be the best WoT can offer. I would be glad to get more maps like those. But there is the obvious shadow lurking in the corner. All of those maps can become a nightmare if there is more than one clicker. After some thought I can say that the only map in my opinion that ain't the same or worse since the rework is Fisherman's Bay which I don't necessarily think have improved but rather it's different and I don't mind it, the worst rework was most likely how they butchered Fjords, it used to be a rather enjoyable map in my opinion but now it's a shadow of it's former self. Redshire is alright. I liked it better before it was reworked though. Like Murovanka (which I also liked better before it was reworked) it was campy but I enjoyed breaking up those camps with a light/medium tank.